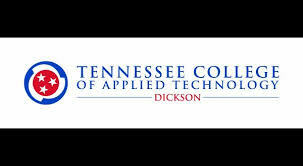 The Tennessee College of Applied Technology - Dickson is one of 27 technical colleges across the state serving the citizens of Tennessee. This system of schools was made possible by legislation enacted by the 1963 General Assembly of Tennessee, Chapter 229 of House Bill 633. Chapter 181, Senate Bill 746-House Bill 697, of the Public Act of 1983 transferred the governance of the state technical institutes and area vocational-technical schools from the State Board of Education to the Tennessee Board of Regents. The transfer became effective on July 1, 1983, and included 46 institutions, being the sixth largest system of higher education in the nation. By action of the Tennessee Legislature, the school name changed in 1994 from Dickson State Area Vocational Technical School to Tennessee Technology Center at Dickson.